I was really looking forward to cupping a wide selection of Honduran coffees again, after the COE last year I’ve been very impressed by the range of flavours this country produces. They still struggle with some processing and shipping problems, but this year I’m hopeful that the lots we buy will arrive quickly and in great condition. Flying into San Pedro Sula, the first proper rain of the trip started coming down. 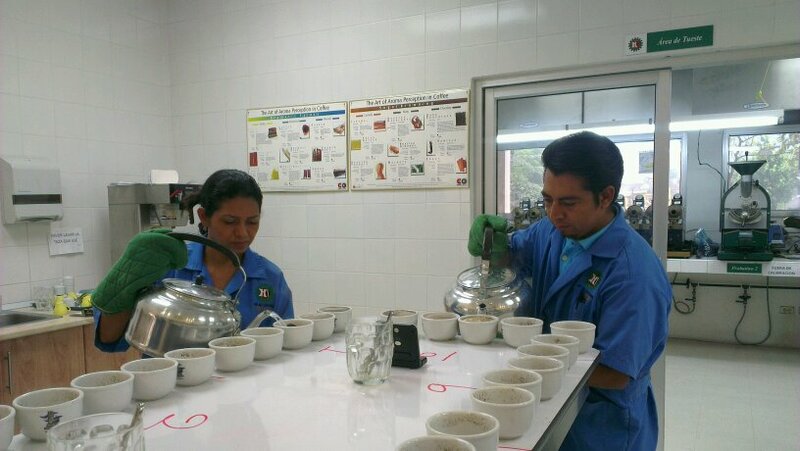 Thankfully most of the first day would be spent cupping at IHCAFE’s lab, where Rony and Oswaldo had prepared three big tables to taste. It was great to find a lot of coffees that I really enjoyed, so I’m really excited about our Honduras offering this year! The first farm to visit was to Finca Las Flores, one of the coffees I’d just cupped, enjoyed and noted down chocolate raisins for. Owners Jorge and Maria Lanza arrived with sandwiches and soft drinks before we bundled into the car and headed to the farm, situated about a 30 minute drive up the side of the El Cielito mountain outside of Peña Blanca. As we climbed there was not only rain but we drove straight into a thick fog, making visibility a bit less than desired for narrow mountain tracks. Rain and fog at this time of year is unusual, and I can imagine it causes a lot of problems for people trying to dry their parchment carefully. I was wondering how to keep myself dry too, but thankfully I was able to borrow one of the raincoats that the family provides for all the pickers to wear when needed. Maria explained that most of the producers here don’t live on the farms, but may have a farm manager on site to look after the picking and milling. 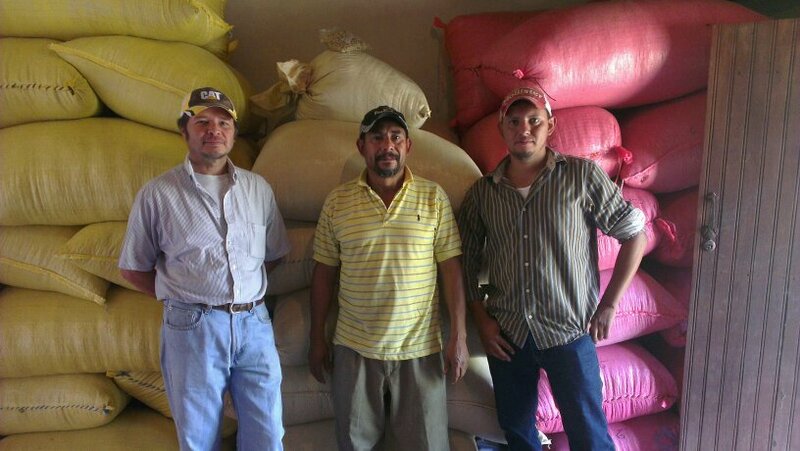 The farm manager onsite at Las Flores is Gerardo, who lives there with his wife and their two small boys. 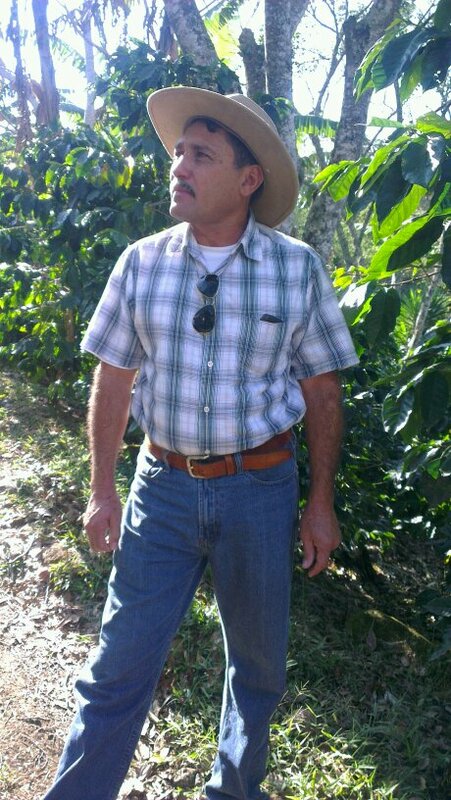 The family has been growing coffee for 23 years, but Las Flores has only been in their care for 3. 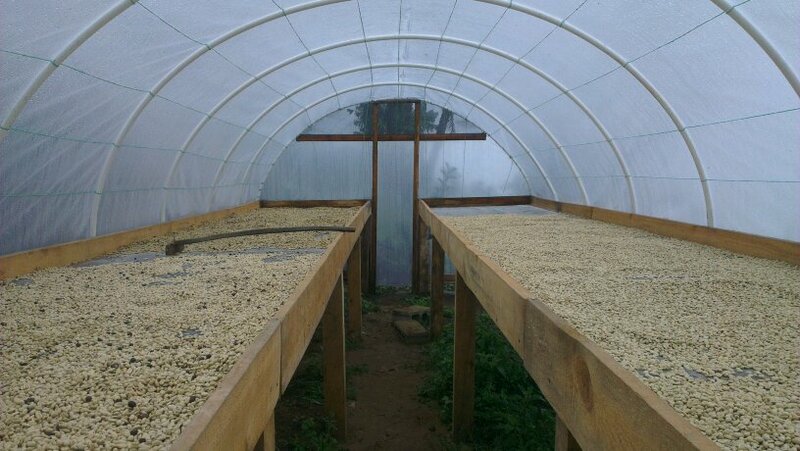 They bought it to have a farm to experiment with varietals, and although there were a few coffee trees there before, most of the plants I saw were 3 years old or younger. 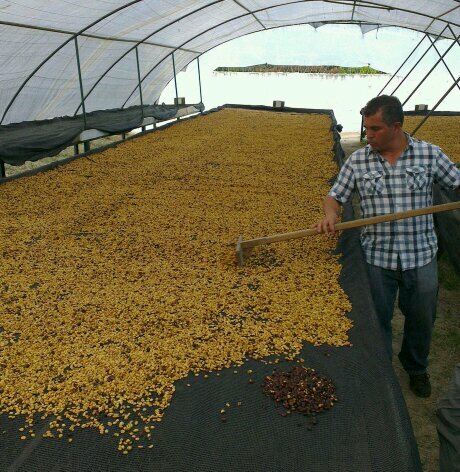 Gerardo walked us through the raised drying beds that they had just built inside 10×3 meter long greenhouses. 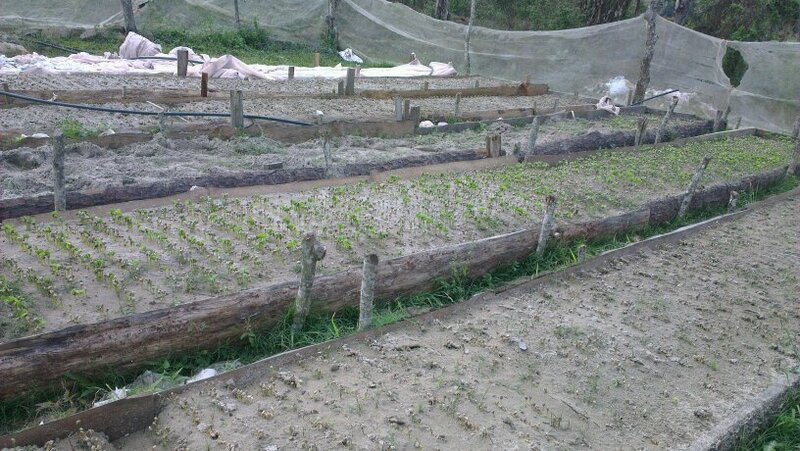 Not just for producing cleaner coffee, the raised beds are also intended for helping them dry slower, as fast drying times is one of the problems we often see in Honduras. Hopefully the investment of $750 per greenhouse will be worth it. From the look of the parchment I saw they are off to a good start, but time and space will always be weighed up against cost. 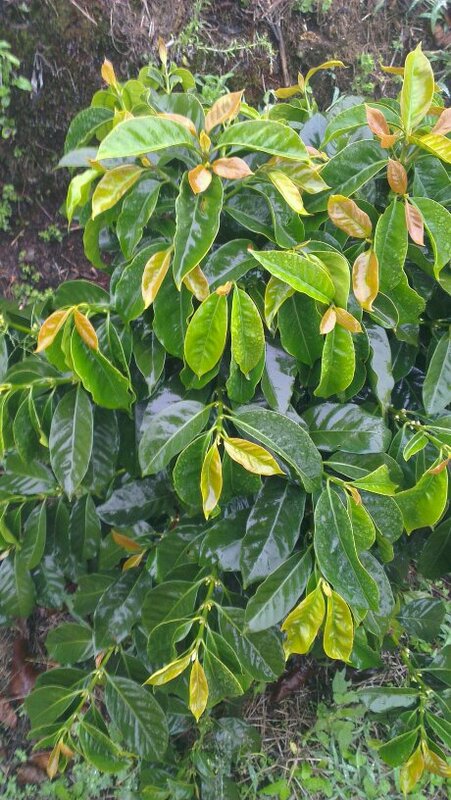 While walking around the fields and looking at coffee trees, we were served some home grown and brewed coffee with sweet bread, slowly warming us up from the cold weather. 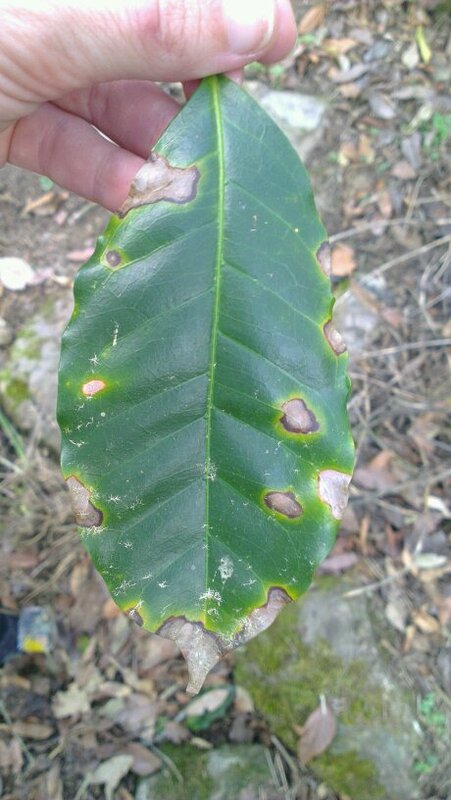 I’m not sure what we were drinking, the trees with cherry were mostly Caturra and Catuai but they also have a few Lempira trees with their characteristic looking leaves. 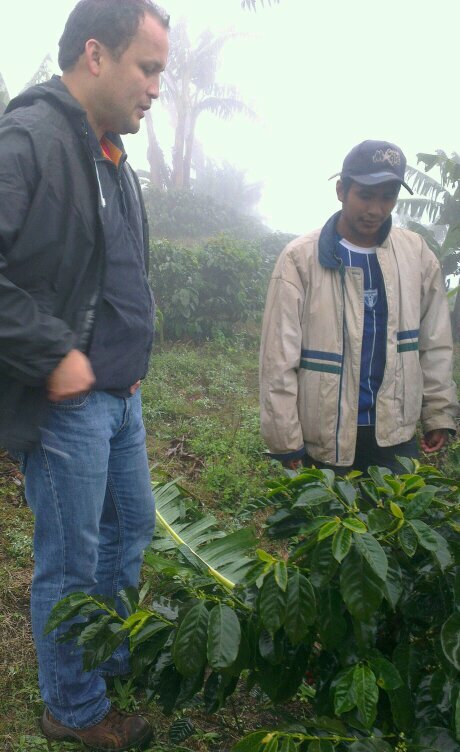 About 2 manzanas of Pacamara had just been planted too. This year was their first harvest and picking was still happening, but the crew had the day off due to the bad weather. I could see how the rain had caused problems for the quality too, many of the cherries had swollen causing the skin to burst. I also had the chance to go to Marcala spending a day at the Marcala coffee festival, bumping into more international coffee buyers and cuppers during their “Best of Marcala’ competition. 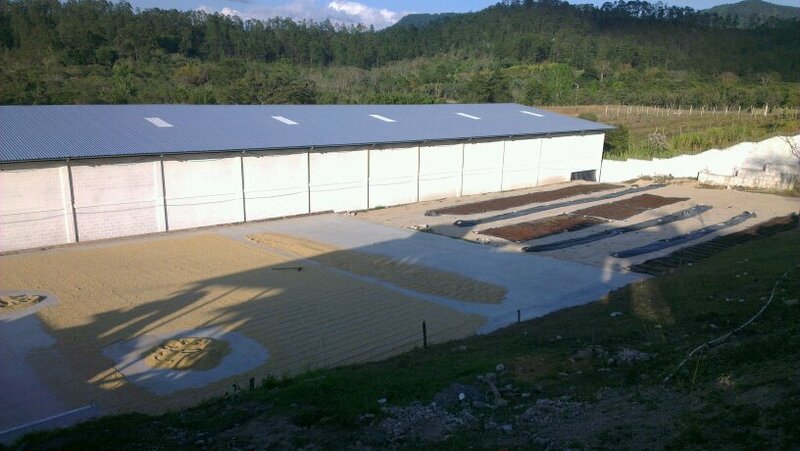 But the main purpose of this trip was to visit farms and mills that we might want to work with, and just outside of the town is Beneficio El Espino, where a group of 4 families share equipment and drying space for their coffees. 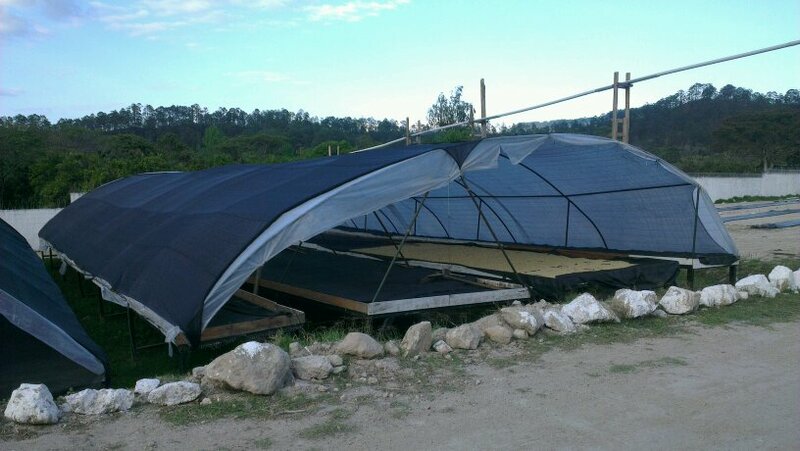 This year, they’ve invested a lot in the building of new polytunnels for drying, on top of getting hit fairly hard by roja. 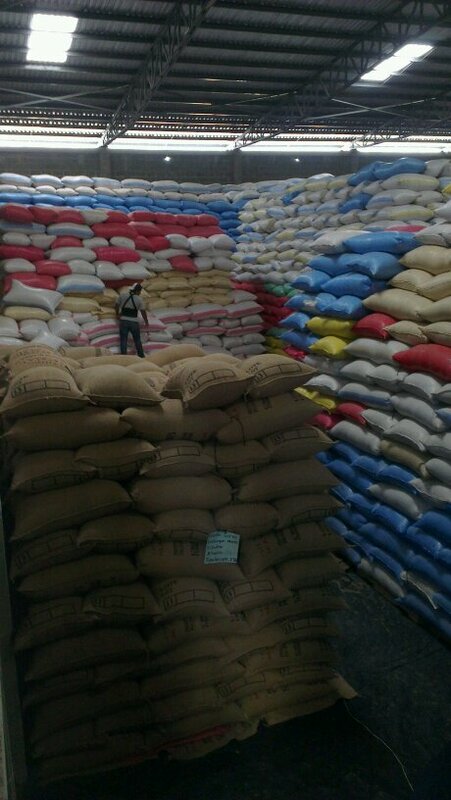 But the coffees they produced were good, several of my favourite lots at the cuppings came from here. 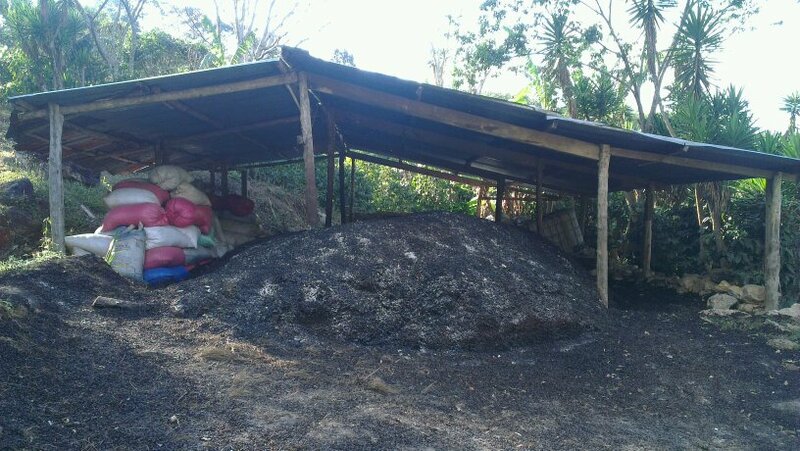 The mill is at 1300 masl while their farms are up between 1500-1700 masl. Especially one lot (the one in the yellow bags in this picture) came up as a favourite for me, so I hope to be getting that in in May! 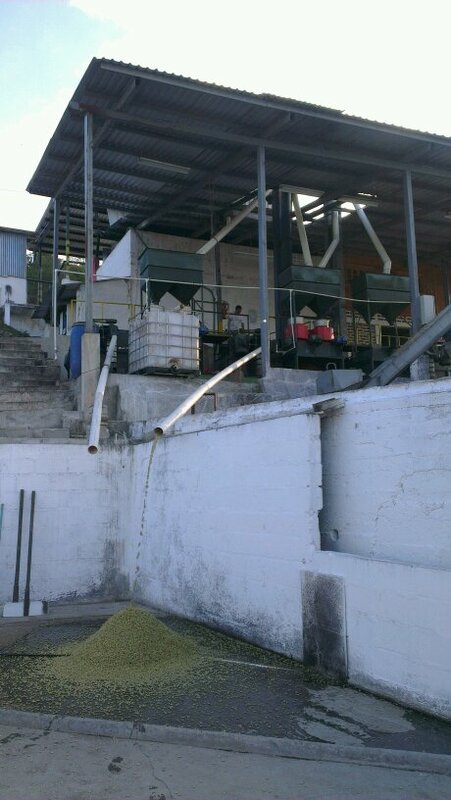 Next to visit was the COMSA cooperative, short for Cafe Organico Marcala S.A. de CV. Some of you will remember this coffee from one of our previous Red Brick recipes. They were founded in 2001 by a few growers who wanted to add value to their crops, and has since grown to mill for over 300 members. 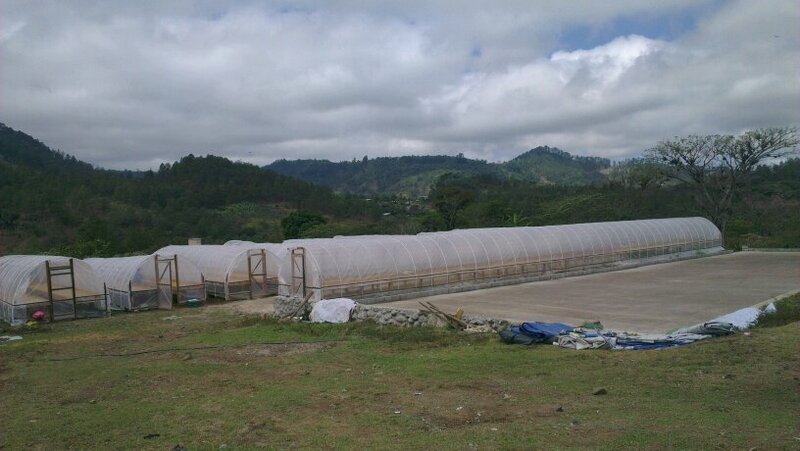 Wanting to continuously improve, they just built massive secadoras solares to a cost of of $3500 per unit, one unit holding around 460 parchment. They also had the first demucilager I’d seen on the trip. 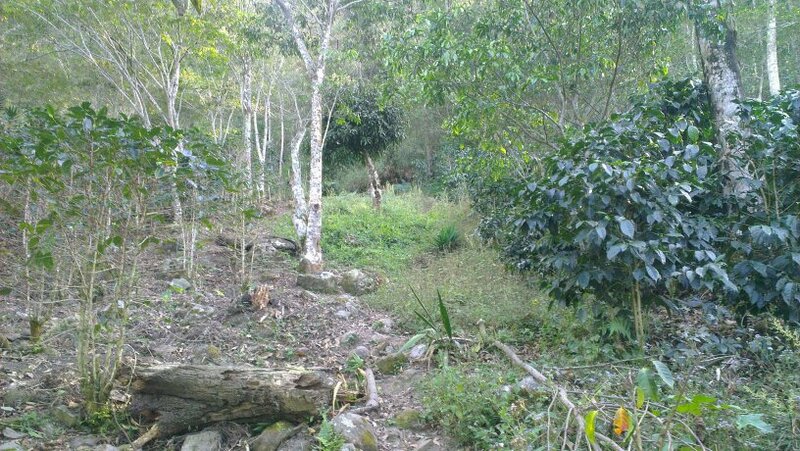 The very last farm visit on my Central American roundtrip was Joel Oliva’s farm El Chiflador, named after a nearby waterfall. 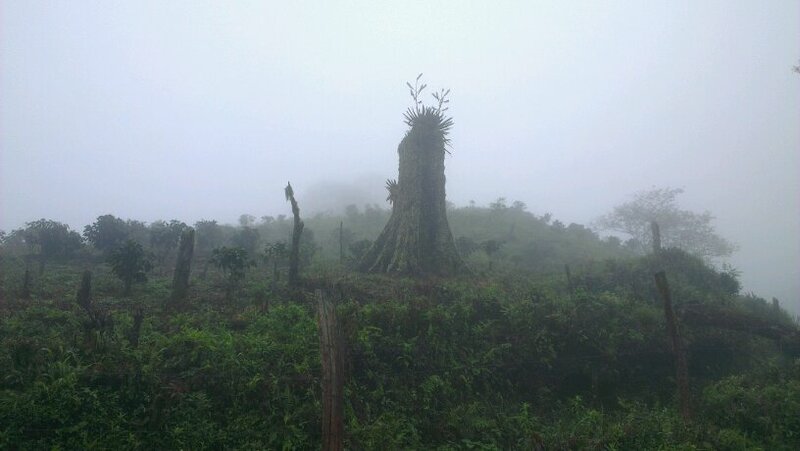 They are an organic farm that grow Icatu, Sarchimor, Lempira, Catuai and Bourbon. They prepare all their own compost on the farm, using pulp, parchment, manure and ash, and parts of the farm look well kept and healthy. But here too they’ve had a complicated year due to the rust, and walking around the farm you can really see the adverse effect this disease has had. From one plot to the next the trees will be full of leaves and ripe cherry, then naked and barren where roja swept through. Some varietals have stood up better than the others, and Joel is planning to replant more of the resistant varietals.